Is the blue light on your phone damaging your eyes? Laptops, phones, tablets – we all spend a huge portion of our lives staring at these screens to message our friends, catch up on news, read books and work. We think they are safe, but what if the screen light is actually harmful to our eye sight? Well a new study by scientists at the University of Toledo in Ohio, America has discovered that the blue light from these devices can damage our eyes. Frightening stuff. The study showed that this particular type of light can cause the photoreceptor cells in the retina to die, otherwise known as macular degeneration which leads to blindness. To see, we need a constant amount of retinal which is produced within the eye. 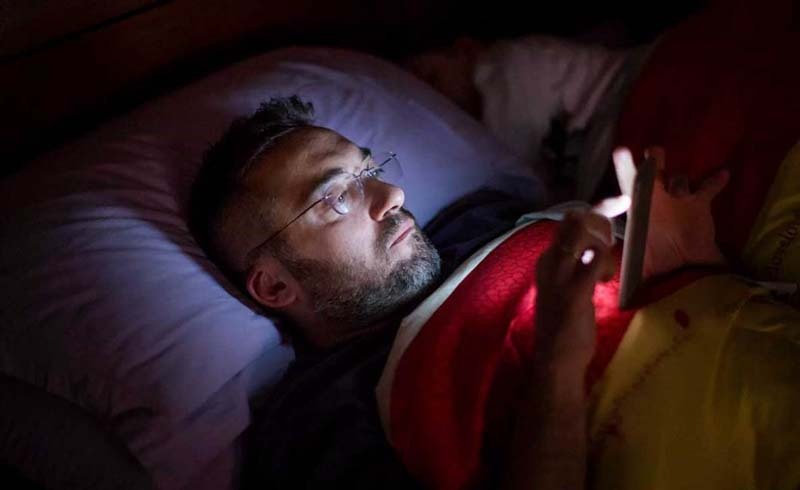 However, the scientists discovered that exposure to blue light on screens such as mobile phones causes retinal to set off reactions that 'generate poisonous chemical molecules in photoreceptor cells'. Essentially, the blue light makes the retinal kill the photoreceptor cells that we need for sight and even more worrying, the cells never regenerate. Dr. Ajith Karunarathne has some further advice to shield our eyes from blue light. He suggests wearing sunglasses to filter UV and blue light outside and try not to look at screens in the dark. We are so doing this now. U.S. Daily News: Is the blue light on your phone damaging your eyes?